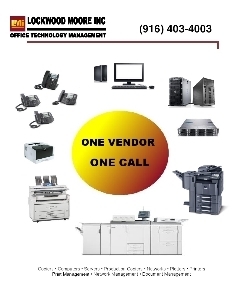 Lockwood Moore is a locally owned office technology equipment and service provider. We represent the largest copier and IT manufacturers in the industry, so we can select from a variety of resources to provide you the best possible solutions. We have over 40 years of experience doing just that. We will have the solution... and we love to share!